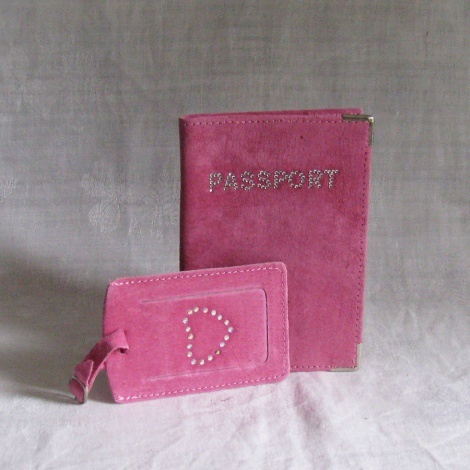 This is a lovely passport cover & luggage label set. The perfect thing for someone heading off overseas. They are both in matching girly-pink suede. They have little diamantes studded into the surface of the suede to spell out the lettering. The luggage label has a little buckled loop to attach it to the luggage for easy identification. It measures 6.5 x 10cms.